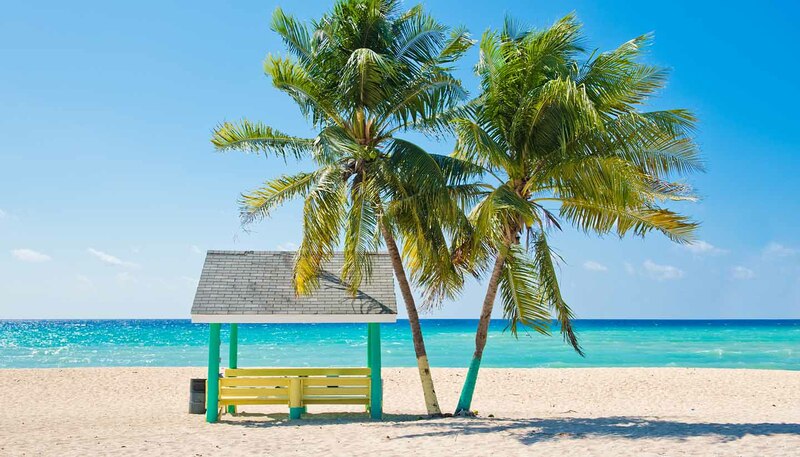 For a Caribbean island, the food and drink options available in Cayman are extraordinarily varied, ranging from jerk chicken stands (try the one on Shedden Road) to five-star international dining and everything in between. The islands have for a while striven to be named the 'Culinary Capital of the Caribbean' and it seems as though the ploy is working. As there are over 100 nationalities resident in Cayman, this is also reflected in the varied cuisine available. There are two major food festivals at the start of the year and during special events there are always local stands serving a wide range of eats. Look out also for low-season offers and seasonal produce of extremely high quality. Magazines covering the foodie scene are Flava and Food and Drink, which come out roughly quarterly. • Moros y cristianos (black beans and rice). • Conch, including fritters, stew, ceviche and chowder (often it's best served in a fresh ceviche as out of season, some places may use frozen, rubbery conch in the fritters which is pretty awful). • Turtle stew and turtle steaks. • Dolphin (this is the local name for mahi-mahi, a firm white fish). • Fresh fish (local varieties include wahoo, snapper, tuna and red lionfish). • Local mangoes (there are seven varieties in season). • Seasoning pepper (these have all the flavour of Scotch Bonnet chillies but none of the heat). • Cayman Gourmet Pepper Jelly (a delicious sauce made in small batches by hand, and delicious). An unusual menu item is often the Red Lionfish, which is an invasive species that threatens the delicate ecosystem of the reefs due to its lack of natural predators. A programme of culling is under way and luckily the fish is rather delicious, a kind of firm white fish that lends itself to many different dishes. Restaurant bills usually include a 10-15% charge in lieu of tipping. Of course, extras are always welcomed by the staff who often are on a very low hourly rate, making their money up by tips. At a bar, aim to give CI$1 per drink/round to bartenders. You won't lose out; most bars don't have measuring cups so being nice to the person serving your drinks will more often than not, have you drinking generous measures before long. • Swanky (a local cocktail based round limes, sour oranges and brown sugar – and, if you like, rum). • Seven Fathoms spirits (the only ones distilled on-island).